The TAA-PAC is a North Carolina state-registered Political Action Committee. Investments made to the TAA-PAC support local and state candidates who represent good government and understand the needs and concerns of the rental housing industry. 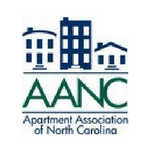 The TAA-PAC trustees seek out and evaluate candidates for local and state elected offices who support policies that enable rental housing providers to continue to provide high-quality homes that remain accessible and affordable. TAA-PAC investments can only be accepted from individual TAA members via cash, personal check or credit card. Individuals interested in joining PAC are encouraged to make their annual contribution or pledge in January of each year. While contributions will be accepted all year, PAC membership is granted only for the calendar year, regardless of when the contribution is made, and individuals are encouraged to contribute early so that they can enjoy full-year access to the events and benefits outlined below. Contributions are accumulated throughout the calendar year and your Membership Level changes accordingly. Invitation to participate in quarterly conference calls. Invitation to quarterly breakfast events. Invitation and complimentary admission to one quarterly breakfast event. Recognition on materials at any PAC-related functions. Invitation to the Annual Elected Official’s Reception. Invitation and complimentary admission to two quarterly breakfast events. Recognition on materials at any PAC-related functions and special verbal recognition at all PAC functions. Membership on the Board of Trustees and one vote. Invitation and complimentary admission to all quarterly breakfast events. Membership on the Board of Trustees and three votes. Eligibility to serve as PAC Chairperson. Quarterly Conference Calls: These calls will allow PAC leadership to provide updates on fundraising targets and accomplishments, as well as to discuss strategy and upcoming events. The conference calls are open to all membership levels. Quarterly Breakfast Events: The PAC will hold quarterly breakfast events featuring an elected official, speaker, or panel from all levels of government including federal, state, and local officials. Tickets will be sold for the event, but attendance will be limited to PAC Members. Elected Official Cocktail Reception: The PAC will host an Elected Official Cocktail Reception featuring federal, state, county and municipal elected officials. Tickets will be sold for the event, but attendance will be limited to PAC Members at the Senator’s Level and above. Disclaimer: Contributions to TAA-PAC are not tax deductible for federal income tax purposes. Contributions to TAA-PAC are for political purposes. All contributions to TAA-PAC are voluntary. You may refuse to contribute without reprisal. The proposed contribution amounts are merely suggestions; you may choose to contribute more or less or not at all. TAA will not favor or disadvantage anyone by reason of the amount contributed or the decision whether to contribute. North Carolina State Law requires political committees to report the name, address, occupation, and name of employer for each individual whose contributions aggregate in excess of $50.00 in a calendar year.